祖谷 is one of the three mysterious lands in Japan. 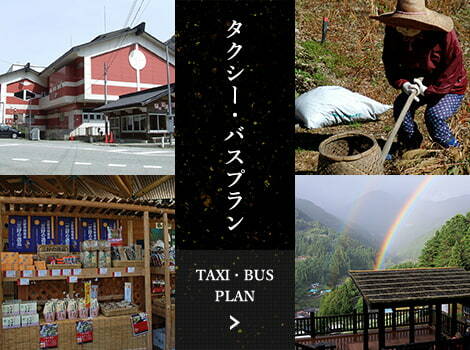 The sightseeing course includes Kazurabashi, must-see places in Oboke・Iya like Hinoji Keikoku and Shobenkozo, and Biwanotaki, where the tragic story of Heike clan is hidden. We are sure that you will find a place that you like. If you are not confident in driving, we recommend our one-day sightseeing trip by taxi or bus. We offer plans that put together the fee and calculate the time involved in the sightseeing course. Please check for a comfortable well planned trip. Tsurugiyama, also called Shikokuno Yane, is the highest peak in Tokushima Prefecture, 1,955 meters above the sea. We offer many climbing courses ranging from beginner to advanced. Courses range from a 40-minute climb to a one-night two-day course. 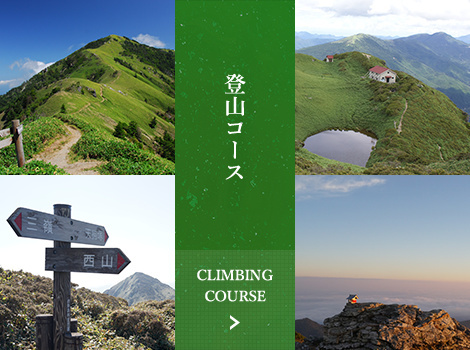 If you are interested in mountain climbing or want to appreciate the beauty of Tsurugiyama please contact us. Fog from the Yoshin oRiver creates the sea of clouds in Miyoshi City. 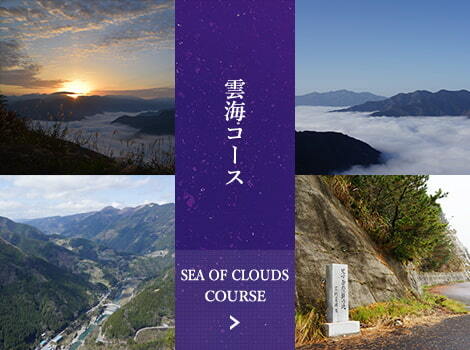 You can also enjoy the view of Oboke・Yoshino River and Kochi side, as well as take pictures of the sea of clouds. 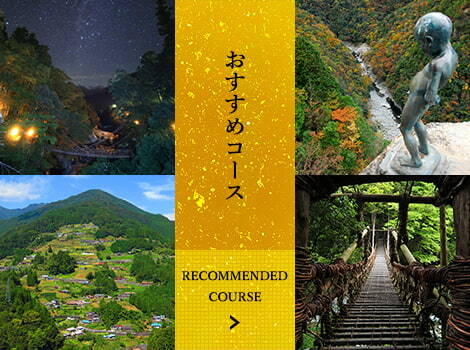 We offer many sightseeing courses so please contact us.